When Mississippi State’s hiring of Joe Moorhead was announced, there seemed to be a consensus reaction. That’s true. 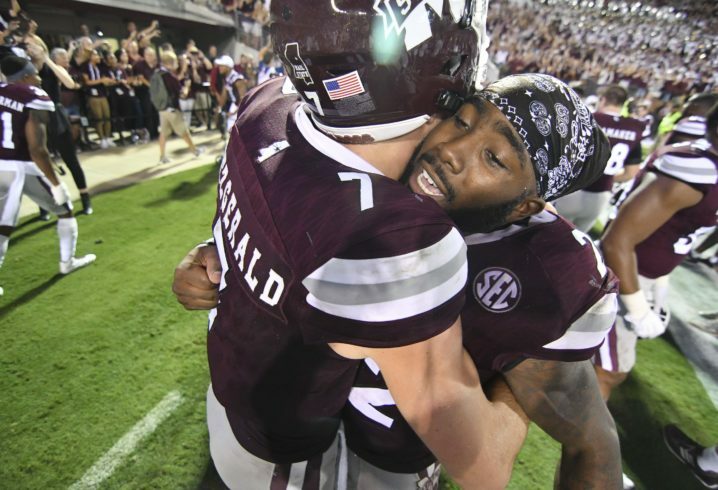 Moorhead’s arrival in Starkville will indeed be great for Fitzgerald, who could’ve been an interesting transfer candidate had MSU gone in a different direction. Given Moorhead’s zone-read principles, Fitzgerald got the perfect coach to replace the other perfect coach. It’ll be Moorhead who will be tasked with giving Fitzgerald the proper swan song. But it’s another senior-to-be who could see the greatest uptick in production in Moorhead’s offense. Aeris Williams is going to be that guy. If you take a closer look at Moorhead’s proven model of success, it’s not just about having a mobile quarterback. In order for that offense to work, he needs to have a do-it-all tailback. Moorhead is not one who typically shuffles in three guys like Georgia does. He doesn’t lean on a bevy of backs to each handle one specific responsibility apiece. Saquon Barkley just won the Paul Hornung Award, which is given to the nation’s most-versatile player. Considering the way Moorhead uses his featured tailback, Barkley’s honor wasn’t surprising at all. Williams is not on the same level as Barkley. To assume that he’ll replicate a future top-5 pick’s success just because he’s in Moorhead’s system would be unfair. But don’t be surprised when Williams becomes Moorhead’s next star tailback. Moorhead’s success with do-it-all tailbacks predates Barkley. When Moorhead was the head coach at FCS Fordham, he wasn’t shy about using his featured backs as much as possible. If you want to be “the guy” in Moorhead’s system, don’t expect a whole lot of down time. 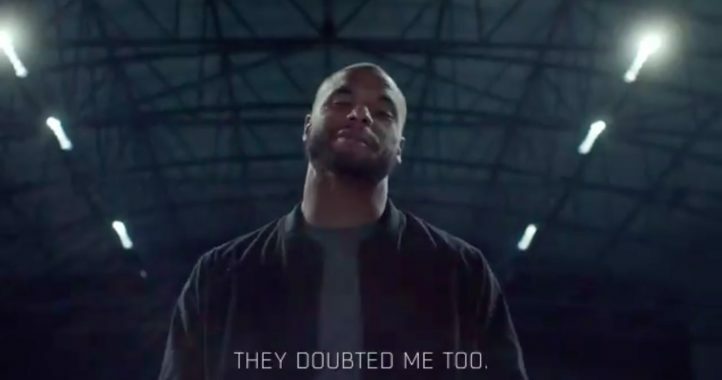 That’s an average of 288 rushing attempts for 1,636 yards and 35 catches for 273 yards. That’s nearly 2,000 yards from scrimmage at a pace of 5.91 yards per touch. At Fordham. Moorhead picks his guy and he locks in. At Penn State, he had the No. 1 tailback recruit in the 2016 class, Miles Sanders, as Barkley’s understudy. Sanders, who is an incredibly talented player in his own right, averaged just over 2 touches per game in Moorhead’s offense the last two years. Keep in mind that Barkley played behind an offensive line that was mediocre at best the last two years. That was why his 2017 rushing attempts took a significant dip. When the running game didn’t take off, Moorhead just got Barkley more involved in the passing game. All signs point to Moorhead taking a similar approach with the versatile Williams. He already proved that he can handle a full workload. He got 20-plus touches in each of MSU’s final seven games of 2017. One of those games was against Alabama, when Williams racked up 106 yards from scrimmage and 2 touchdowns against the vaunted Tide defense. Williams finished 2017 on a strong note, and there’s still room for him to grow. He already possesses so many of the skills that’ll make him one of Moorhead’s guys. When the ball isn’t in his hands, Williams blocks extremely well (Moorhead loved Barkley’s willingness to do that in critical points of games). In Moorhead’s perfect world, he’d have Williams on the field for all three downs, series after series. 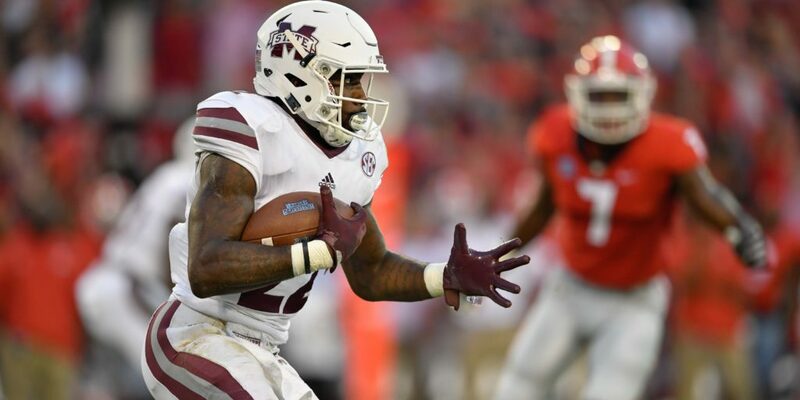 Having someone who can do that is such a key element to disguising the zone-read offense, as we have already seen under Dan Mullen. The biggest difference is that Williams is going to take away some of Fitzgerald’s touches. He has to. While I believe that Mullen was the right coach to maximize Fitzgerald’s abilities, it was an awful lot to ask of one player. We’re going to see Williams blossom into an even more prominent 1-2 punch with Fitzgerald. Williams’ touches will spike, as will his overall production. With all eyes on Fitzgerald, Williams will develop into one of the better all-around backs in America. That’s just what Moorhead does. Moorhead will absolutely be great for Fitzgerald, but man, he’s going to be even greater for Williams. If Kylin Hill can block, he will take more and more of Williams’ touches. Agree, with both. Aeris might be the man next year, but Kylin Hill who I think is most likely to become a star player in Moorhead’s offense. I was thinking exactly the same thing, Grad. Not sure the talanted and durable Williams will lose many touches to the backups next season. He plays the position so well, not just in carrying the rock, but in doing all the other little things that make his team better. But I sure hope Hill DOES learn to block because it looks like that is the only tool he needs to add to be a really outstanding three-down back. Aeris Williams is really good, 6th in an SEC stacked with RBs in all purpose yards among RBs. And Aeris Williams is in the backfield with Nick Fitzgerald who has the most rushing yards among QBs. Kylin Hill may even be better, Keytaon Thompson maybe even more so. If Fitzgerald is healthy, he should still get most of the yards. He is elite as a running QB, and he has the capability of hitting the endzone on any play. Here’s a question, and an important one with regard to this topic. 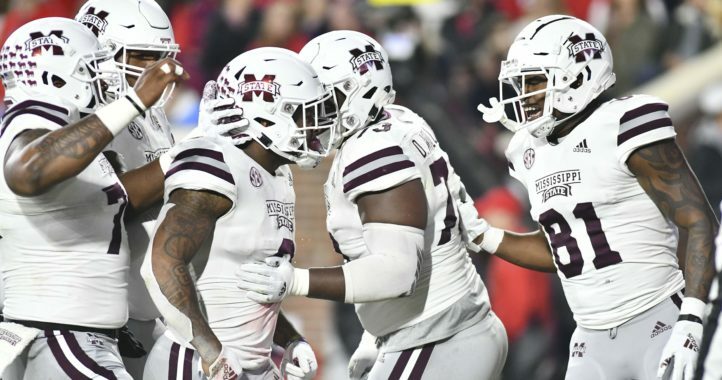 Will Moorhead be able to recruit really good offensive linemen? Always been an issue for us. Mullen and his team were not that great at it, but the 2014 OL was very good with at most some 3 stars and I’m certain a 2 star and a no star. Apparently, an OL that plays together for years can overcome a lot. Part of the problem is the state of MS does not produce very many really good OL. But somebody at Penn St while Moorhead was there was better at it. They were getting some much higher rated OL men including some out of the state of PA.
By “out of the state PA” I meant not from the state of PA. I just saw that Marcus Johnson, the OL coach at Duke, is joining the team as the OL coach. Marcus was born in Mississippi and grew up in Coffeeville, MS, and went to Ole Miss. He wasn’t the only one at Duke involved in recruiting the OL, but Duke looks like they were doing better with the OL than Miss St, even though Duke overall has done worse than Miss St.
Duke has a lot of hurdles, but they built up to ten wins and should cycle back up. 6 years recruiting that area, and from yalobush co., Should be ready recruit at least. Next year’s line is good to go, so he’ll have a little time.